That's a really cool vector =) I think the flower could be impoved though, blend it more to the background. Asucaga is my fav pairing! i think you should move the huge flower down or not have it at all. Kyaaa! awesome! 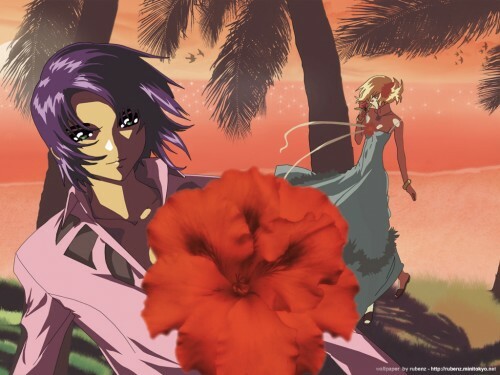 Athrun looks so cool! #^^# Excellent job! I love it, +fav! athrun looks great in tis wallie... ^^ but the flower is kinda weird! anyway... thx for sharing! kyaaaaa, ASUCAGA LOOKS SO CUTE! hmm..yeah, it may look beter without the flower there. ive commented so much of ur other works too .. love it all ! what a beautiful scan! AthrunxCagalli Forever!